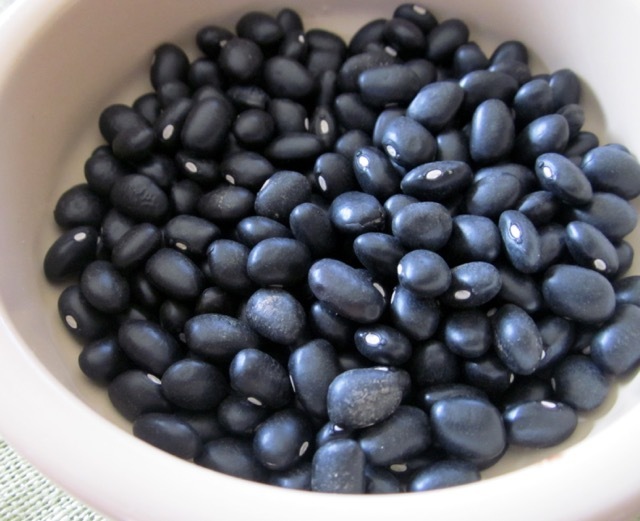 Also known as Turtle Bean, Black Turtle Bean, Mexican Black Bean, frijoles negros. They are small, kidney shaped and shiny black beans with cream coloured flesh. They have an earthy flavour and a soft, mealy texture. 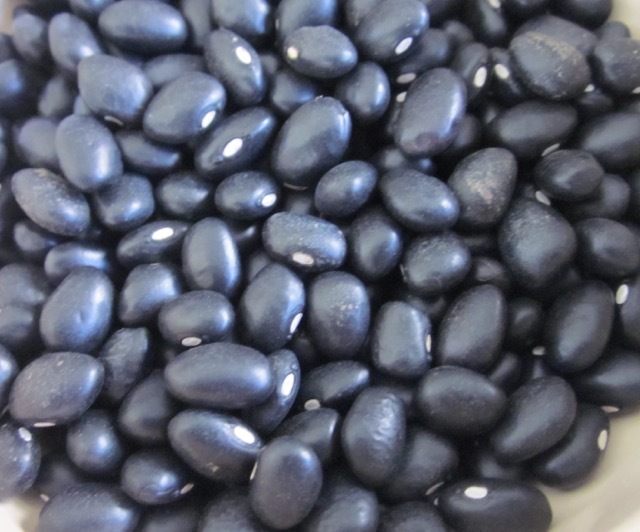 In China the black bean is small and round, with a greenish coloured flesh. 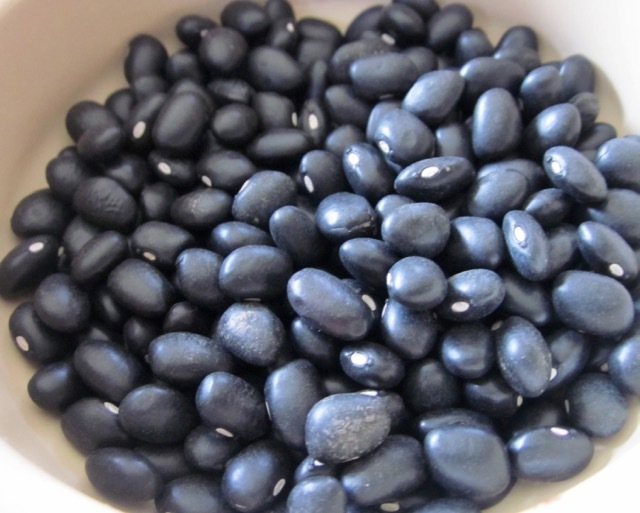 Black beans are rich in carbohydrate, dietary fibre and protein. They have a small amount to fat. Black beans are a staple throughout latin America and the Caribbean. They are also popular in Japanese and Chinese cuisine where they are commonly salted and fermented and used in strongly flavoured sauces. They are used in making popular dishes such as black beans and rice, bean burrito, refried beans and the spicy black bean soup. They enhance the flavour of soups, mixed bean salads or enchiladas. I’ve only discovered them quite recently. Of course, I had eaten black bean sauce but not the beans a such. We don’t use them a lot in the UK and all I could find in the supermarket was a small 500g pack. After having tried them I am a convert: they are so tasty! I’ll have to try and see if I can find them in an ethnic grocery store.